This early effort from Oscar winner Bruce Beresford is a tough, uncompromising gem of a thriller. Beresford adapted the novel of the same name by Devon Minchin into a multi-layered and tightly-wound narrative that strategically deploys an array of twists to keep the viewer off-guard. That said, the frequent turnabouts never feel gimmicky: instead, they shed new light on the situations and the characters in a way that adds to the viewer's appreciation of the goings-on. Beresford's direction is tight and punchy, perfectly matching the unsentimental, hard-hitting tone of his storyline (sensitive viewers, be warned: Money Movers is very violent and plays for keeps in its depiction of criminal life). Beresford deploys mobile camerawork and rhythmic editing with the discipline of a craftsman, giving the proceedings plenty of style without calling too much attention to the style itself. 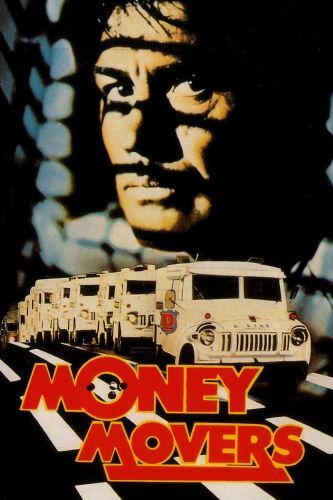 Money Movers also boasts a tremendous level of consistency and believability in its acting: Terence Donovan manages to be unlikeable yet compelling as a company man who is plotting an inside-job heist, Ed Devereaux steals many a scene as a grizzled, no-nonsense ex-cop who acts as the conscience of the film and Tony Bonner does some nicely subtle work as rookie guard who isn't as simple as he first seems. There's also a compelling bit role for a young Bryan Brown as Donovan's mouthy younger brother/partner-in-crime. All these elements add up to a crafty, intense thriller that packs a genuine wallop and this makes Money Movers a must-see for viewers who like their crime movies tough and mean.